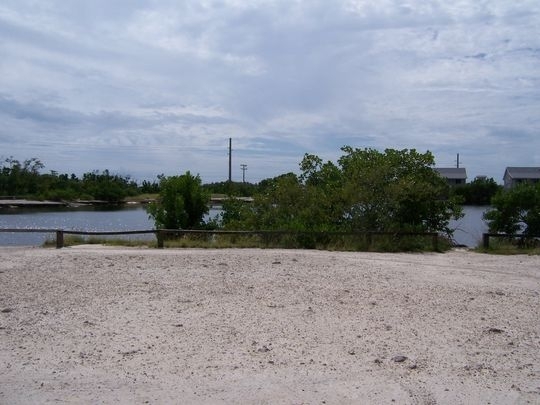 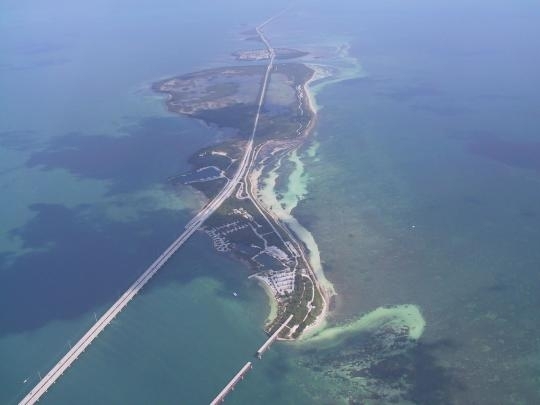 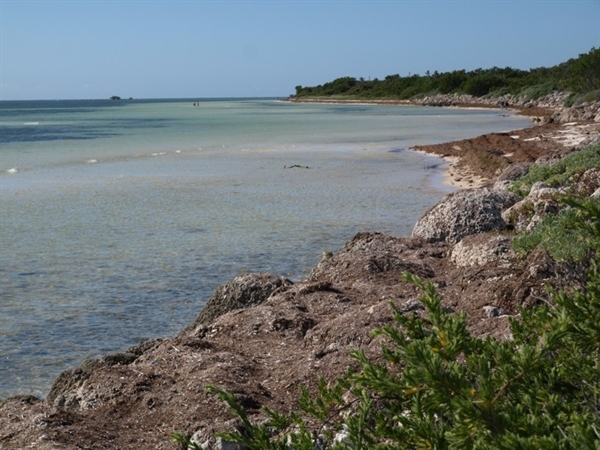 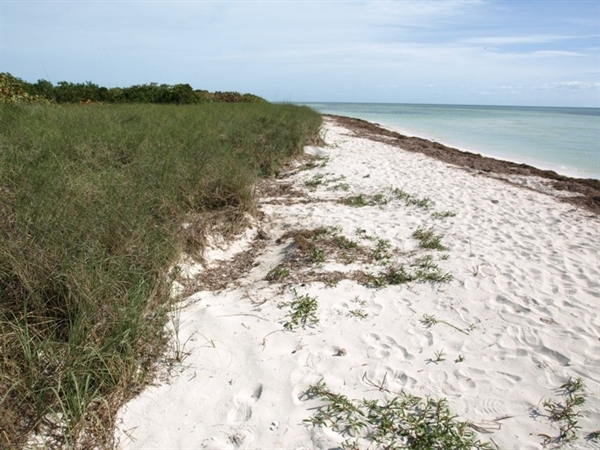 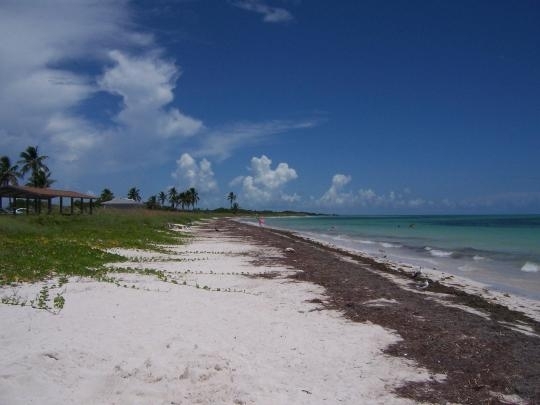 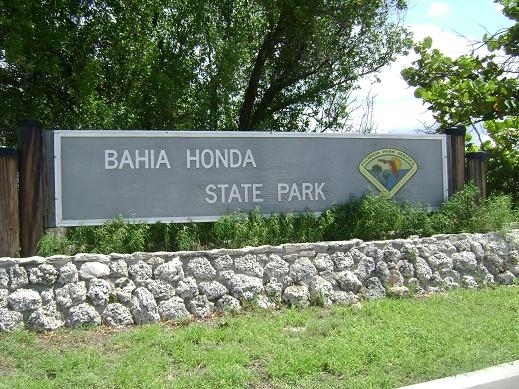 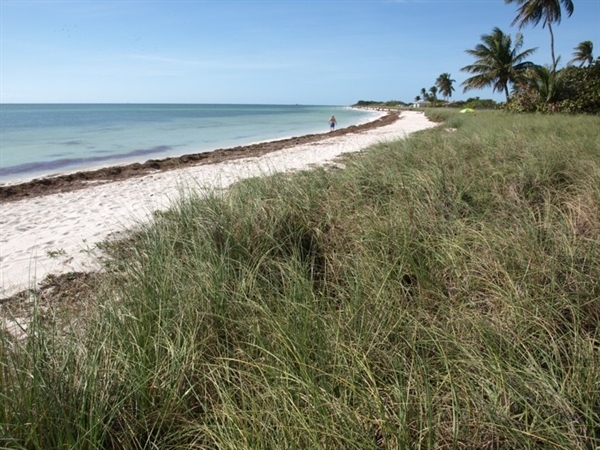 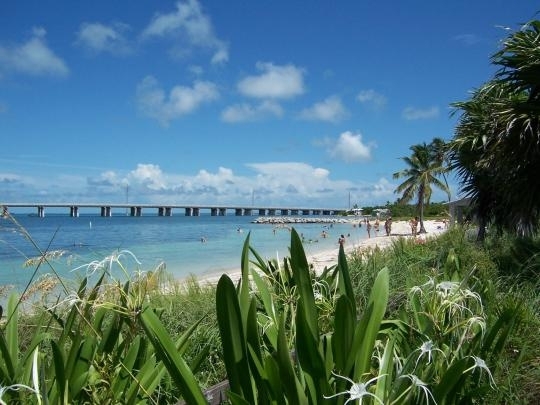 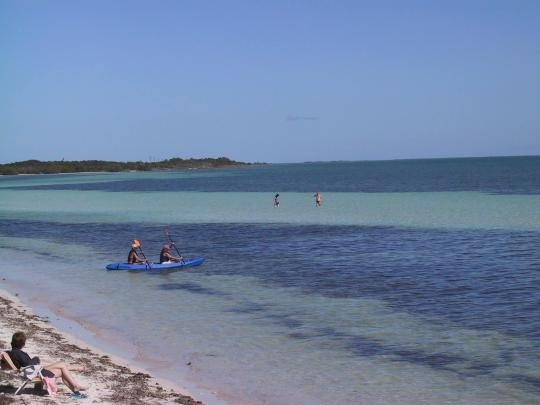 Local Directions: Located on Bahia Honda Key, 12 miles south of Marathon. 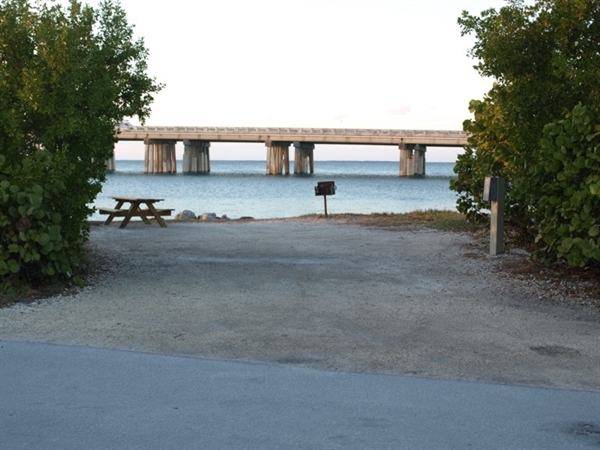 The entrance is located between Mile Markers 36 and 37, oceanside of U.S. Highway #1. 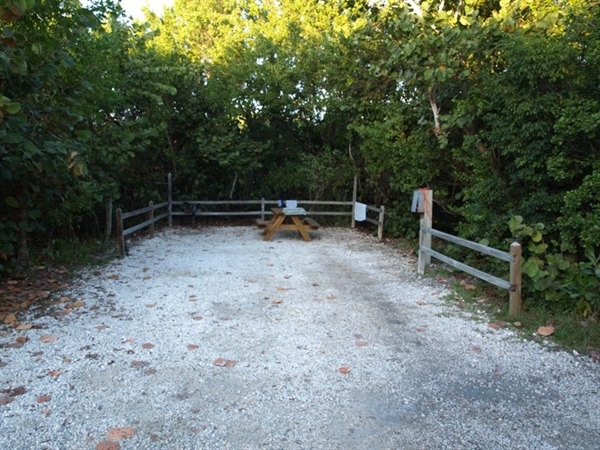 Buttonwood Campground has 48 sites. 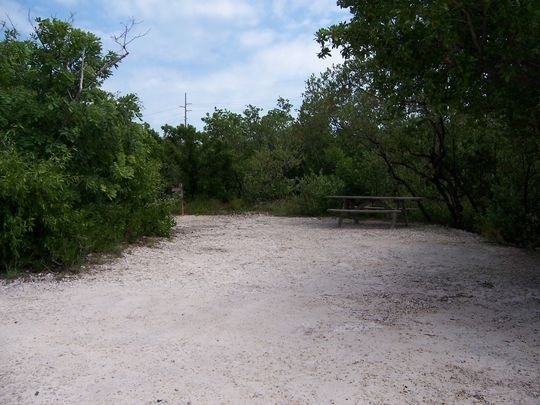 Sandspur Campground has 24 sites. 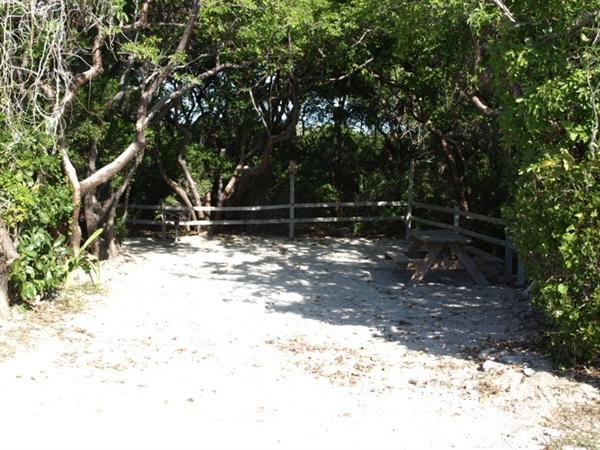 Bayside campground has 8 sites. 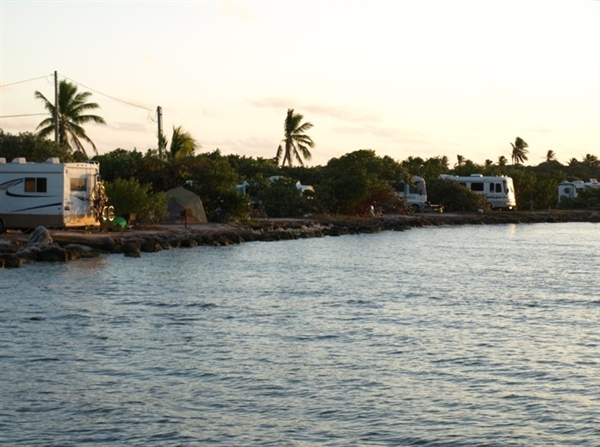 This campground offers sites with water and electric hookups for RVs and dumping station in the Buttonwood area and primitive no-hookup tent campsites facing Sandspur Beach. 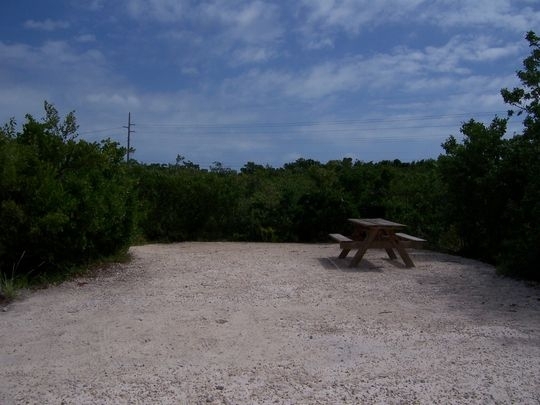 All campsites offer far more space and privacy than any of the commercial ones that we saw on the main Route 1 highway. 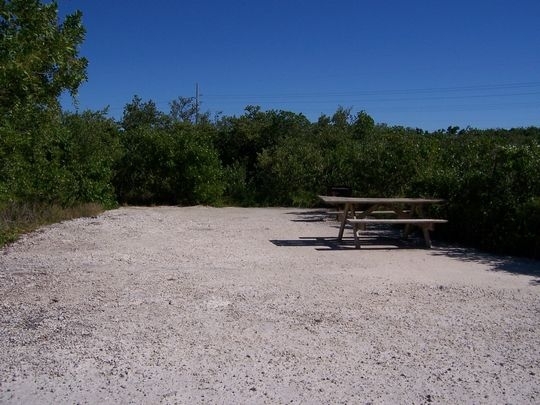 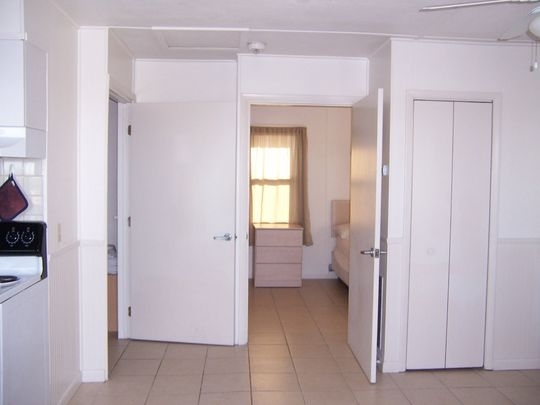 Charcoal grills and picnic tables are included. 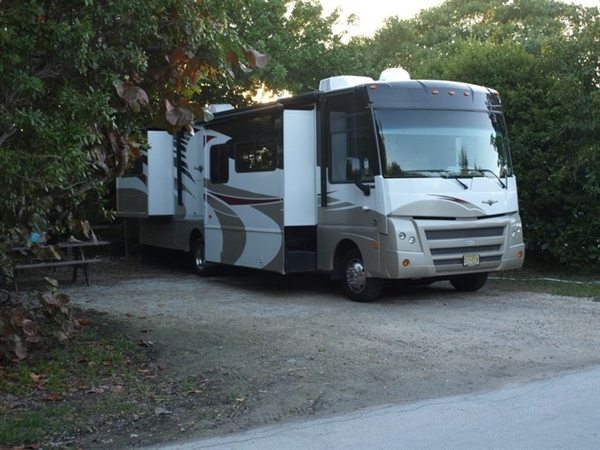 A few Buttonwood RV campsites face the sea, but they also face the busy Route 1 bridge. 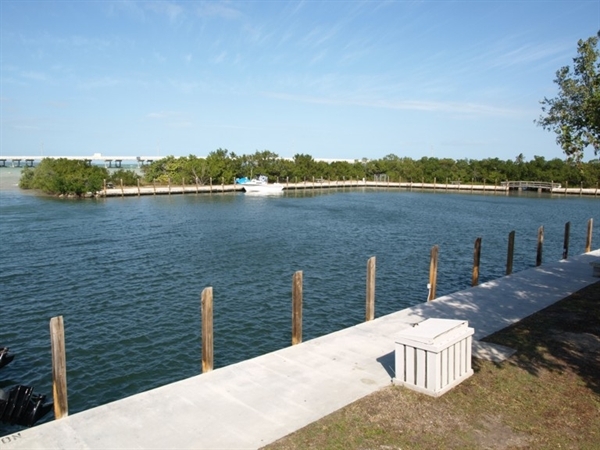 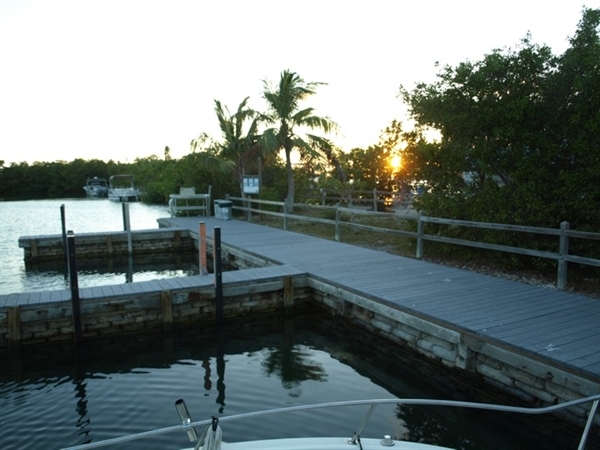 There is a small boat harbor and even boat slips for two or three campsites. 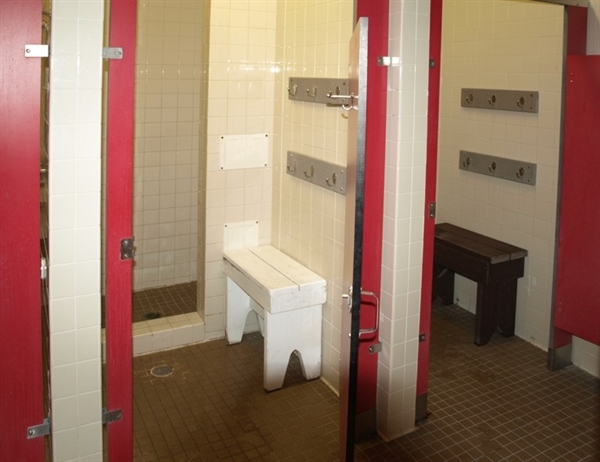 Bathhouses are clean and reasonably modern. 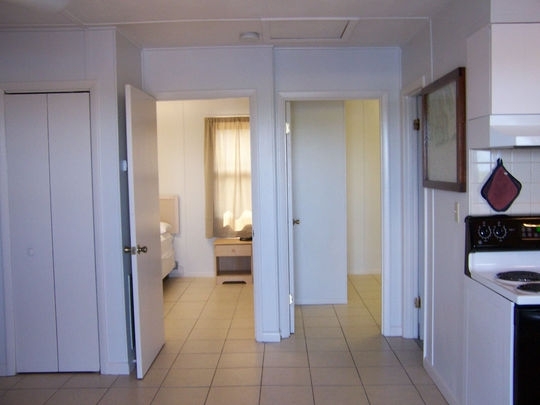 There is no coin-op laundry, but a washing sink is provided. 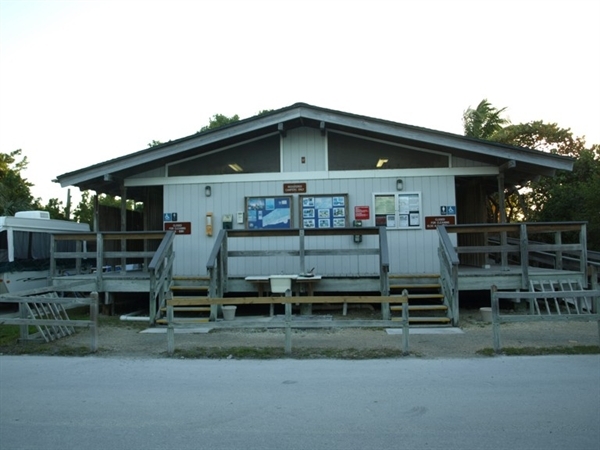 The camp store sells gifts, no groceries or camping supplies but runs a snack bar. 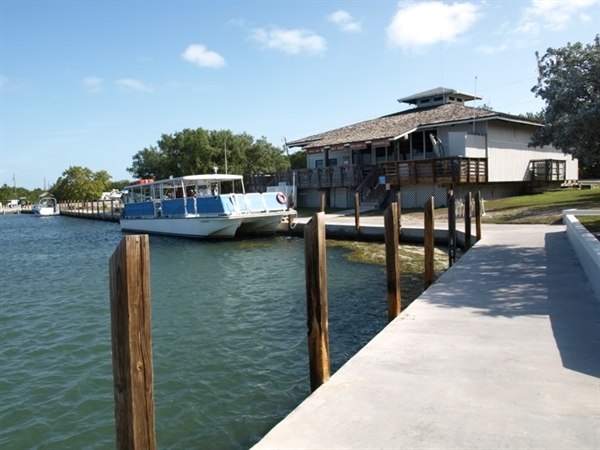 Free Wi-Fi is provided at the dive shop, adjacent to the store. 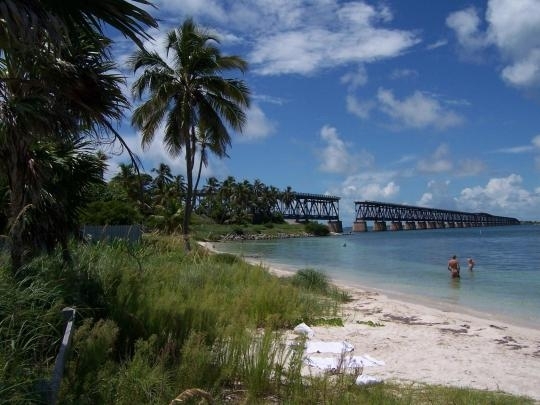 Cellphone signals on Bahia Honda Key are poor. 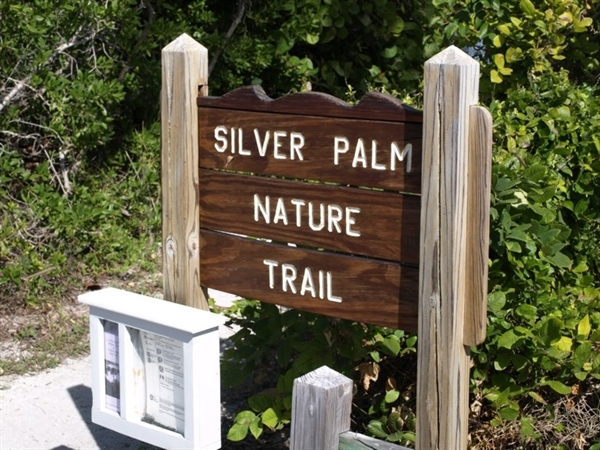 The Silver Palm Nature Trail is one the best I've seen. 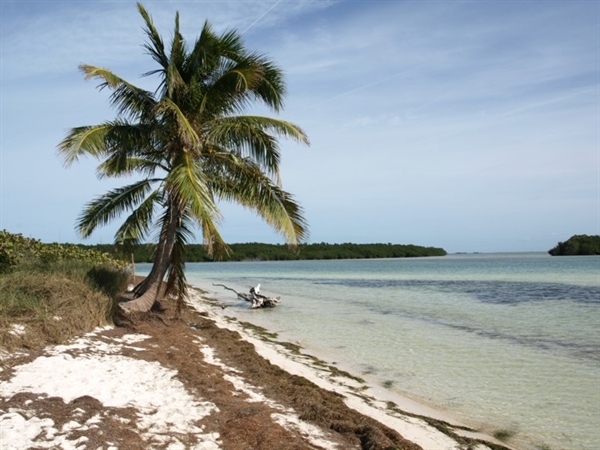 Natural beauty is everywhere.